Set in the heart of the lively Bukit Bintang commercial district, The Federal Kuala Lumpur offers air-conditioned guest rooms with free WiFi. The property houses 4 dining options and an outdoor pool. Imbi Monorail station is 350 m away. Featuring large windows, the rooms are decorated in neutral colors. Each unit comes with a flat-screen TV and a minibar. Certain rooms have a seating area. The en suite bathroom comes with shower facilities. Located in the lobby, The Verandah offers light meals and drinks with live music. Kontiki Restaurant specializes in Asian and Continental favorites, while Mandarin Palace boasts Cantonese and Szechuan specialties. Fine dining is available at Bintang Lounge & Restaurant. Guests can swim in the pool or relax in the lounge. Staff at the 24-hour front desk are ready to assist you with luggage storage and babysitting service. Laundry and car hire is available at a surcharge. Berjaya Times Square and Low Yat Plaza are 270 m from The Federal Kuala Lumpur. Kuala Lumpur International Airport is 55 km from the property. Bukit Bintang is a great choice for travelers interested in entertainment, markets, and family-friendly trips.. These are spacious Deluxe Family Rooms with a pool view, offering either 2 queen-sized beds or 3 single beds and are suitable for a family of 3 to 5 persons..
Our Superior Double Rooms feature an abundance of natural light with perfect views of Kuala Lumpur city and comfortable double bed, or 2 single beds, or 1 queen-sized bed with 1 single bed plus workspace and complimentary Internet access..
Deluxe Double Rooms with balconies offer varying views of the pool and the city skyline. Each of these spacious corner rooms with double beds, bathrooms with bathtubs and shower stalls are a class of its own.. Single Room was designed with utmost pleasure and convenience in mind, with cozy comfort, quality amenities, exclusive privileges, 40” LED TV and 3 in room phones (wired & wireless) on top of an indulgent bed with plush down duvet and a bathroom with rain shower. It is an excellent choice for business or leisure travelers who require added privacy, personalized attention, and services.. 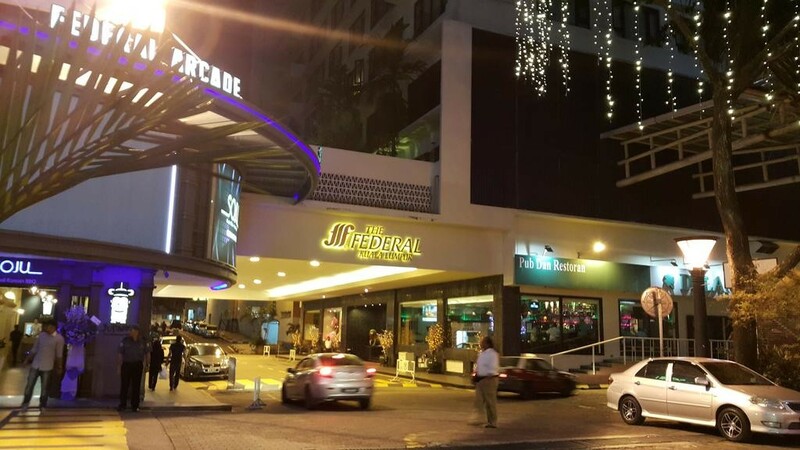 The Federal Kuala Lumpur, Kuala Lumpur. No Reservation Costs. Great Rates. Best Price Guarantee. Low Rates. Great Availability. Special Offers. Amenities: Free Wifi, Parking, Non-Smoking Rooms, 24 Hour Front Desk..